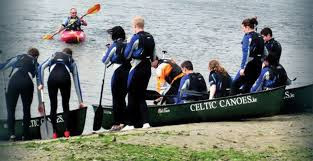 We set up in 2012 with 10 canoes, less than 3 years later we are one of the largest mobile outdoor activity providers in Ireland. From canoeing to climbing, zorbing to archery tag we offer our customers the best value day out. Our team of highly qualified and friendly staff will make sure your adventure is unforgettable! Think Hunger Games meets Nerf….. This fantastic sport has taken the world by storm and we are one of only four businesses offering it in Ireland. Brilliant fun for all ages. We can bring this amazing activity to you. Ideal for indoors or outdoors. Ever wanted to fire arrows at the boss??? ?Allow us to make that dream come true!!! Our mobile climbing wall is a 6.5 meter tall. We can accommodate 4 climbers at once and offer over 40 different routes to cater for all skill levels. With four different climbs offering over 40 different you’ll never get bored! Our highly trained and skilled staff will also teach new climbers how to belay, basic climber knots and safe climb techniques. Don’t forget to try our blindfold climbing challenge. Or in list for our new Team Building packages! Canoe trip, airsoft game, adult games, and camping in a military tent by camp fire. Full on Military Simulation: Boot camp, training drills, combat simulations, team missions, orienteering and much much more!! !